Have You Signed Up For Leagues/PTC/Lessons? If you are planning to play at the Fremont Family YMCA in the next session of indoor Adult Tennis Leagues, Permanent Court Time or Youth Lessons/Programs and haven’t signed up yet, you are overdue. The next session runs Friday, January 8 – April 16, 2010. Be sure to get your registration in immediately! Women’s Summer leagues begin tomorrow! Just a quick reminder, the Tuesday morning Women’s Summer Tennis Leagues are scheduled to begin tomorrow, May 19, 2009 at 8:45 a.m. The Thursday evening group will begin May 21 at 7:00 p.m. If you haven’t signed up yet, you may print an entry form at Women’s 2009 Summer League. Don’t let the Summer go by wishing you had played. Join in the fun with your tennis friends, or make some new tennis friends! The men’s Summer outdoor league has begun. We had a practice night last Wednesday, May 6, 2009. So now we need all tennis players to come for the official start next Wednesday, May 13, at the Fremont High School Tennis Complex. Singles play for all levels begins at 6:00 p.m. The doubles matches get underway about 7:30 p.m. You may play doubles with a partner of your choice, or be teamed up with a partner each night. Come one. Come all! The more the merrier. Get some exercise and have some fun with your tennis friends each Wednesday! Don’t let yourself go through the Summer, and then think, “I wish I would have played on the tennis leagues this Summer.” Come next Wednesday evening and we’ll help you avoid that devastating regret which you could have if you don’t come to league play! Time to sign up for leagues! A reminder: if you haven’t signed up for the next session of indoor leagues or permanent court time at the Fremont Family YMCA, it is time. The deadline was Dec. 30. This session begins the week of Jan 11. Sno-Ball Classic Tennis Doubles Tournament: This annual tournament is scheduled for Friday – Sunday, January 9-11, 2009. Women’s divisions include Women’s 2.5 or below, 3.0, 3.5, and 4.0 or above. Men’s devisions include 3.0 or below, 3.5, and 4.0 or above. The cost is only $15.00 for YMCA members, or $20.00 for non-members. Deadline for entries is 5 p.m. Monday, Jan. 5. 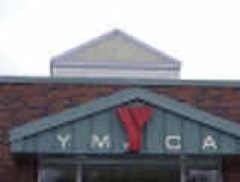 You may sign up at the YMCA. Indoor Tennis Leagues begin this week! Remember that the Indoor Tennis League season begins this week at the Fremont Family YMCA. To check the schedule, click on “Leagues” on the right, or go to the Fremont Family YMCA site.